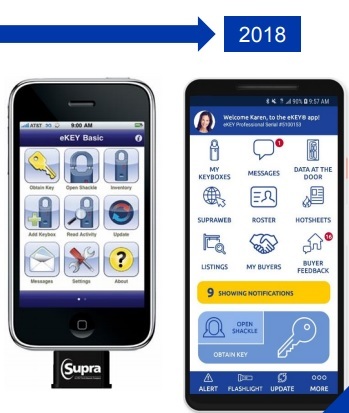 In the next few weeks, Supra is releasing a substantial refresh to its eKEY app. The old (current) app is shown on the left, while the updated app is shown on the right. 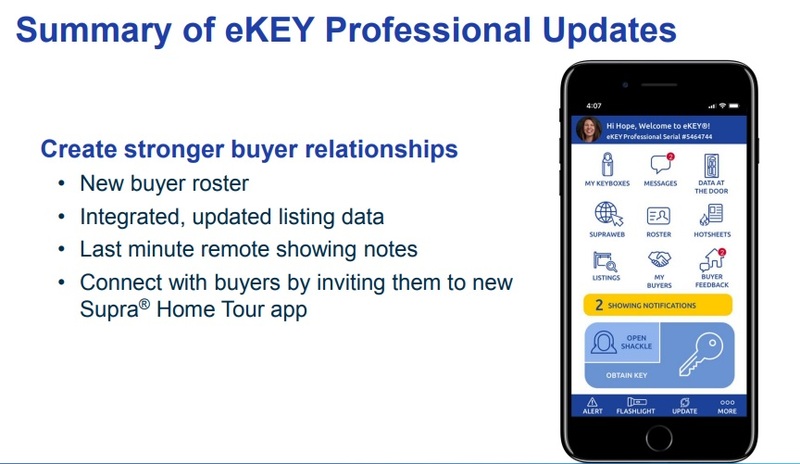 Current eKey subscribers will be able to download the update in the coming weeks. If your apps are set to update automatically, this update should also happen in the coming weeks. 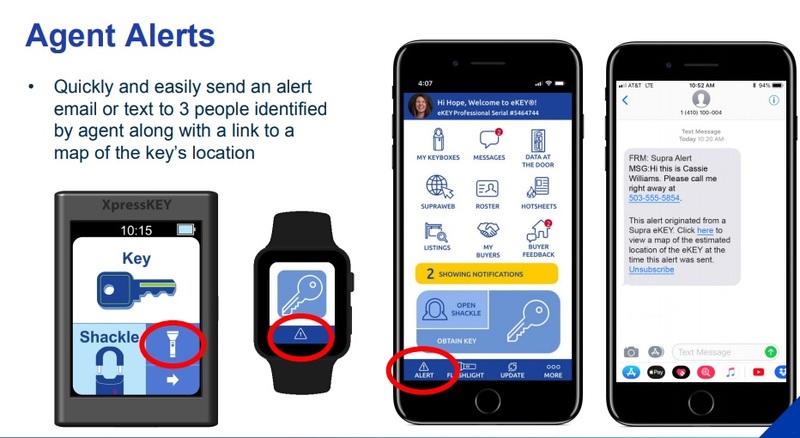 One of the new features is an agent alert button that will send an alert email or text at the press of a button to up to three people you choose. However, you must set these alert contacts up on the Supra web page at http://www.supraekey.com/Pages/Home.aspx. You cannot set the alerts up through Matrix.